News Want the best seats in the house? 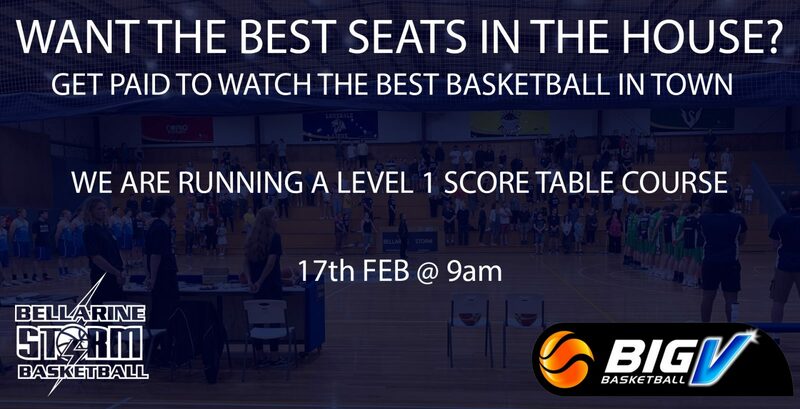 In conjunction with Corio Bay Basketball we are running a Level 1 Score Table Course. We are looking for anyone that wants to be part of our Big V score table panel. This is a great opportunity to expand your scoring experience and earn some money while watching the best basketball in town. All rule and handbook updates. *If you join our Big V score table panel we will reimburse the cost of the course after 3 games. Level 1 Course: Sunday February 17th from 9:am.